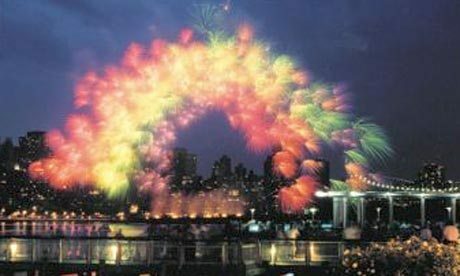 Viral reports of a new gay conspiracy that will turn more people to homosexuality this Fourth of July with fireworks laced with homosexual chemtrails. The reports are fake news from a July 4, 2015 article by a satire website called "Liberal Darkness." The article blamed President Barack Obama and "his Supreme Court cronies’ decision to disrespect America’s Christian heritage by allowing gay marriage, gays are now salivating at the thought of seducing the nuclear family into their lifestyle. " The article warned, "The alteration of brain chemistry is swift and powerful at first, so men who are seduced tonight will be be so confused by all their new emotions and lust, they will give into gays. The buddy-system should be used, where no straight man is left alone this Fourth of July, so that they gays cannot take this opportunity to commit acts of hedonism on his body as the amount of chemtrail in the air drastically increases with all the firework explosions everywhere."